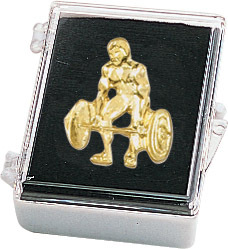 Dinn Trophy weightlifting medals will add plenty of weight to the competition. 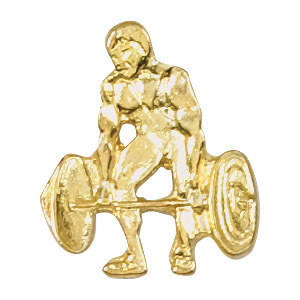 Whether to award a champion in any category or class, or for achievement or recognition, we have an assortment of weights, casts, and styles for your top competitors or all of your participants. All medals are accompanied with a free 30 inch red, white, and blue ribbon. We also offer a number of lapel pins and sports tags to choose from.